Marketers, b2b sales reps, startups, link builders, outreach specialists, PR-specialists, recruiters, sourcing department reps, freelancers. 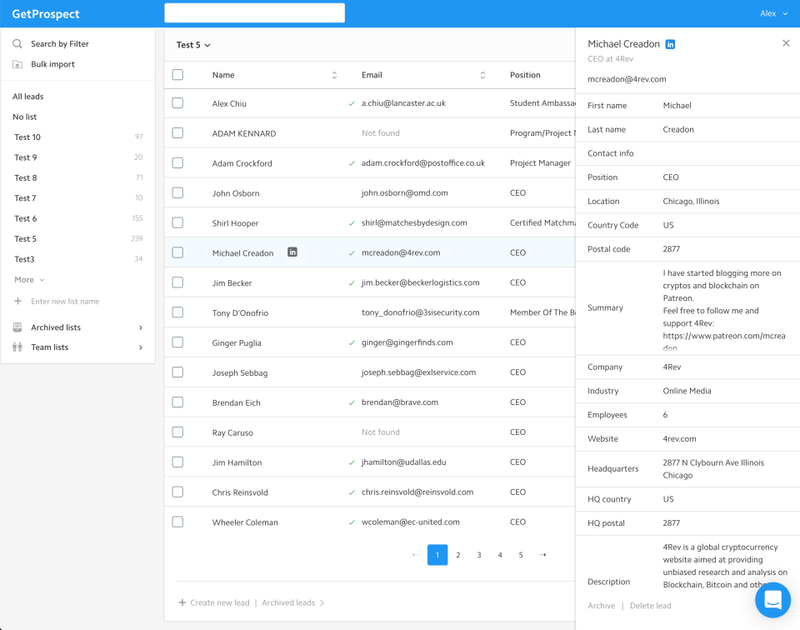 Easy corporate email address finder and lead builder tool for sales teams, hiring/recruitment and marketing. Pros: The ability to search for email prospects from LinkedIn plus the ability to save the prospect details inside a list automatically. Cons: If you didn't have many prospects to find their email address, you might be wasting your subscription because the usage counter resets every month whether you have a subscription or not.